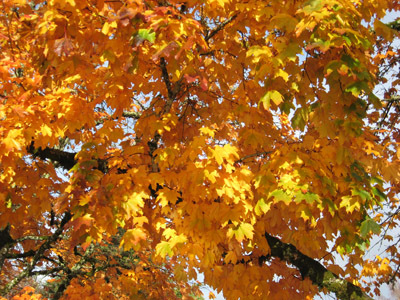 Due to a late autumn and few freezing nights, we’ve dealt with leaves, leaves, and leaves. We rake and pick them up, only to turn around to leaves, leaves, and more leaves. They seem almost to regenerate themselves only to reappear and reiterate! Everyone around our neighborhood has dealt with an interminable quantity of leaves this fall, a prodigious product of our long, wet spring. 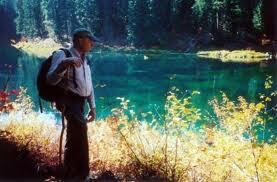 The trade-off of the lovely green abundance of awakening life is an extended dying phase of the cycle. Spiritually, the moments of deep quiet sitting in the garden in “leaf duty” have been deliciously renewing. Smells of damp earth abounding with microscopic organisms all working ceaselessly. “V” formations of Canadian geese flying overhead like feathered armadas, honking and swimming their way across the sky. Tree silhouettes outlining the horizon that speak of glorious winter days. They rest now. Life is richest when it is simple, easy, basic, moving along gently. This is a high state of non-resistance, of pure allowance for the enjoyment and joy of the moment, of the task at hand, like picking up black-spotted rose leaves scattered all around my stool as I reach in a circle, cleaning up leaves, often one by one. you would find them smiling. I am joined in my garden reverie by a busy little band of angels, all making wee sounds that have been described as quick, light “tsit’s, lisp’s, and clenk’s.” A flock of forty or more socially inclined bushtits (Psaltriparus minimus) have invaded our apple tree, the clematis vines along the fence, and our large arbovitae hedge, foraging for small insects and any spiders to be found. Bringing up the tail end in the characteristic straggling behavior of the group, a couple of black-capped chickadees (Poecile atricapillus) zoom into the tree, foraging for their share of edible morsels. Gregarious and talkative, the bushtits stay in constant contact with one another, conversing in soft, gentle notes, serenading their unsuspected gardener below. be in a garden at the cool of the day. I sit motionless, imitating our pagoda statuary, watching the busy, plain gray-brown bushtits search from vine to tree to hedge to vine. Naturalist John Muir put it perfectly when he wrote, “any glimpse into the life of an animal quickens our own and makes it so much the larger and better in every way.” As one of the smallest passerine birds in North America, and often described in appearance as “chickadeelike,” they have a somewhat largish head on a short neck, a minute stubby bill, short wings, longish tail, and a pale gray underside. 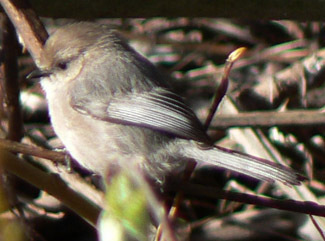 Bushtits have no distinctive markings. • The Bushtit is the only member of its family in the Americas; seven other species are found in Eurasia. 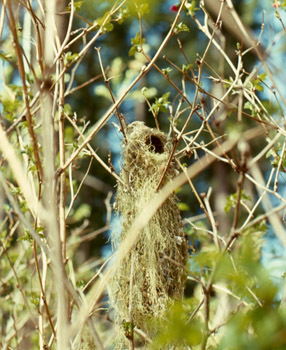 All have similar complex hanging nests. 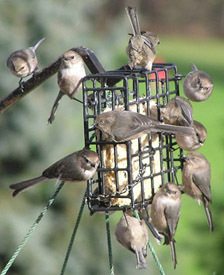 • The Bushtit often has helpers at the nest, birds other than the parental pair that feed nestlings. In the fleeting but sacred moments amidst this little bushtit/chickadee flock, I found my thoughts drifted fondly to St. Francis of Assisi, well known as the beloved patron saint of animals, birds, and the environment. Pope Innocent III told Francis that God had given him the greatest gift of all—the grace to approach Him through His beloved creatures. In “The Canticle of Brother Sun,” written shortly before Francis died, one of his famous stanzas goes like this: Praised be You my Lord through our Sister, Mother Earth who sustains and governs us, producing varied fruits with coloured flowers and herbs. His boundless love of life was inclusive when he prayed, “My God and my all.” For him, every particle of the natural world was holy in its multiplicity of manifestations. 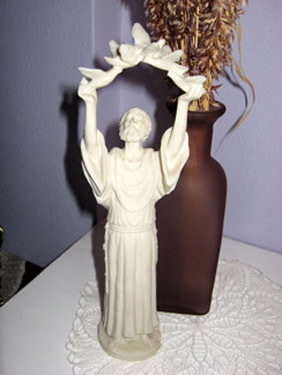 Perhaps the most famous incident that illustrates Francis’ enduring voice for nature and his great love for animals is recounted in the “Fioretti” (“The Little Flowers of Saint Francis”), a collection of legends and folklore that sprang up after the Saint’s death.3 In one of these stories, it is told that while he was traveling with some companions one day, they reached a place in the road where birds filled the trees on both sides. Francis told his companions to “wait for me while I go to preach to my sisters the birds.” The birds surrounded him, intrigued by the power of his voice. Not a single bird flew away from his humble, radiating presence. My life has truly been enlarged and made better, as Muir put it, by this feathered encounter of grace and blessing. Thank you, my tiny, winged sisters and brothers. 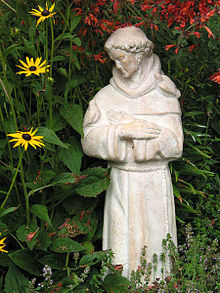 Thank you, Saint Francis, for your lasting legacy of love and joy. You help us to remember who we really are—divine beings surrounded by divine beings. Text © by Zane Maser, 2011. Photo of golden maple tree, bushtit nest, and first St. Francis picture © by Chris and Zane Maser, 2011. The bushtit photos and final St. Francis statue in the garden are from WikiCommons. All rights reserved worldwide. My editorial guru and technological wizard is Chris Maser, my delightful husband. If you are interested in an astrological consultation and/or a specific question answered by a horary chart, please visit SunnyCat© Astrology.